Register closed for the 2018-19 season. Registration opened August 1 for players returning from the 2017-18 season (i.e., you played last season). Registration opened August 13 for all players. Beginner to advanced players welcome. Season runs September 25 to March 7 (includes playoffs). Games are played Tues, Thurs, and Sat evenings, and Sunday mornings. Space is limited. First 120 registrants (not including goalies) are guaranteed a spot on a team. Additional registrants are added to the wait list in order of registration received. Teams are selected by draft, so players register individually. Draft will be held the week of September 10, and players will be contacted within 1-2 days with their team assignment. For more information on the league, including fees, wait list, ice times, refunds etc. ﻿click here! We are still looking for goalies! If you want to register as a goalie, or are interested in a shared season as goalie, please email wwhayukon@gmail.com for more information and a link to the goalie registration. ​Step 2: Payment: Payment is due Sept 7, 2018. If payment is not received by this date, your registration will be cancelled. Option 1. Pay Registration Fee online. This year, we are providing the option to pay fees online. To do this, e-transfer your fee to wwharegister@gmail.com. ​Option 2. Pay Registration Fee at Sport Yukon. Take your registration fee (cash or cheque) to Sport Yukon (4061-4th Ave), Monday to Friday, 8:30 am – 4:30 pm. If paying cash, please bring exact change. 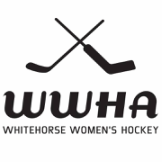 Please make cheques payable to Whitehorse Women's Hockey Association or WWHA. You can also pay via Interac or Credit Card at Sport Yukon. Please note: this will require a 5.5% processing fee. Request a receipt from the kind Sport Yukon staff member.